As a landlord, you have a responsibility for providing a healthy environment to your residents; as a property owner you have the right to protect the safety and integrity of your buildings. One of the most cost-effective and significant ways of providing a healthy home is to supply people with a smokefree environment. On this website you will find information to assist you in adopting, implementing and enforcing a smokefree policy. In addition, you will find information to share with your residents, including legal justification, financial rationale and health reasons for why a smokefree policy is a good decision for landlords and residents alike. It is important to note that there is no “right” to smoke. Smoking is not protected under any law, according to the opinion of the U.S. Department of Housing and Urban Development (HUD). 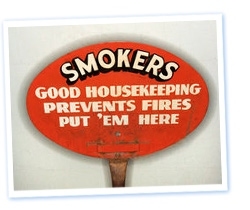 As long as the smokefree housing policy is not used to target a protected class or minority, a building manager is legally free to restrict or prohibit smoking. Learn more about prohibiting smoking in your multi-unit buildings, your rights and responsibilities, the benefits of policy adoption and review tools and guides for policy implementation and enforcement. We also have answers to your most frequently asked questions!